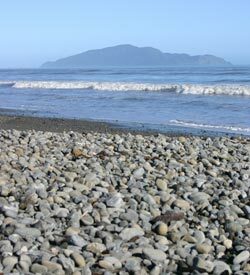 Kapiti Island rests majestically 5 kilometres off shore, awaiting your discovery. An internationally celebrated nature reserve and one of New Zealand’s most valuable natural assets, Kapiti is a protected sanctuary for native birds such as the endangered national bird, the Kiwi. The island is also home to some of our most rare plants and animals. Take a day trip to Kapiti Island with one of the local tour operators – we would be happy to set this up for you. The island has a number of excellent walking tracks, varying in difficulty and length. A tour guide is definitely the best way to immerse yourself in the rich history of Kapiti Island and the creatures that call it home.